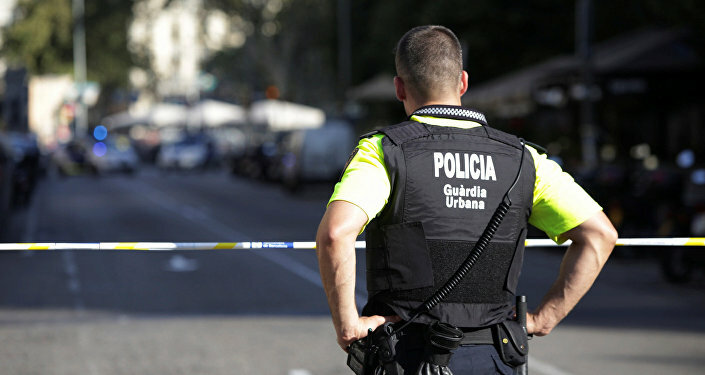 According to Rosturism, a female Russian citizen sustained injuries in the car-ramming in Barcelona. MOSCOW (Sputnik) – A female Russian citizen was wounded in the terror attack in Barcelona that killed 13 and injured over 100 on Thursday, Russia's federal tourism agency (Russiatourism or Rosturism) told Sputnik on Friday. "We are still specifying the information, so far the Foreign Ministry's crisis center has information about one female Russian citizen injured," spokesman Evgeny Gayva said. He specified that the Russian citizen received medical assistance on site without hospitalization. The Russian Embassy in Madrid told Sputnik that the mission and the Consulate General in Barcelona are both verifying the information, noting that Russian diplomats maintain communications with Spanish law enforcement and authorities. The Barcelona terrorist attack is the third such automobile attack on civilians to occur in Europe over the past 13 months. In July 14, 2016 terrorists killed 87 people, including the perpetrator, after the assailant drove a 19-ton cargo truck into crowds watching Bastille Day fireworks. In December of last year, another terrorist struck civilians at a Christmas market in Berlin, slaying 12 people. The three attacks combined, which all shared a common method, have resulted in the deaths of 111 people, with many more sustaining injuries.